"What are you reading about?" "Okay, so, in regular first-order logic, you have logic variables, right? In nominal logic, you have those, but you also have these things called noms." 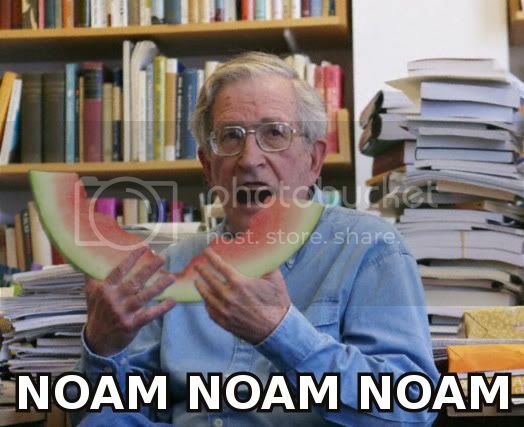 "...I know what you're think--"
I feel like I should mention that I don't like Noam Chomsky, lest I be associated with his followers, but I do love an obvious and vaguely nerdy joke.